Tackling a photography project is not only a great way to improve your photography skills but it can keep you from feeling like you take the same photo everyday. Plus, having a project for yourself is a fun way to capture images just for you. 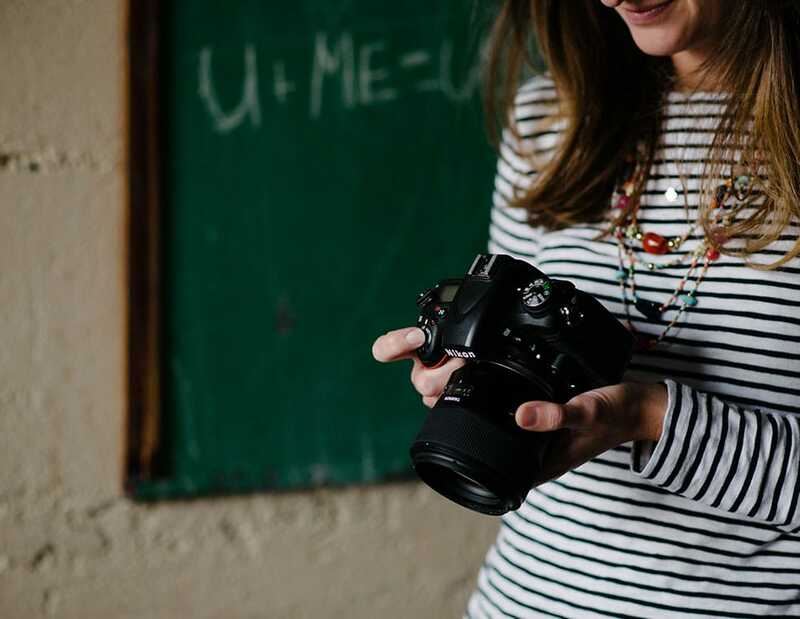 Read how to start a photography blog as a place to document your photography project. You know I love a Project 365 and have lots of tips on completing one. If you are interested in doing one be sure to link up so that you can find others to follow and help build your own little photography support group to support each other. 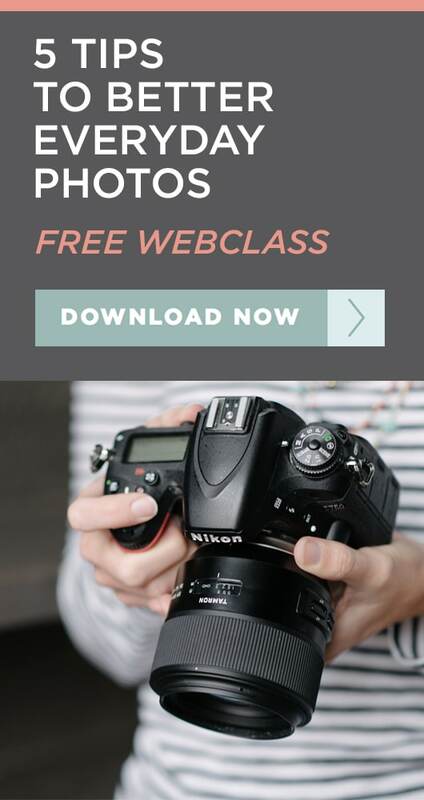 Whether you take a photo a day in a Project 365 or choose to do one photo a week in a Project 52 this is a great way to focus on your photography skills. Take on a shorter commitment by doing a project that lasts on 30 days. There are many different ways you can do this. In my ebook, The Unexpected Everyday, I give you a 30 day challenge to learn a new skill and give you a prompt for each day. 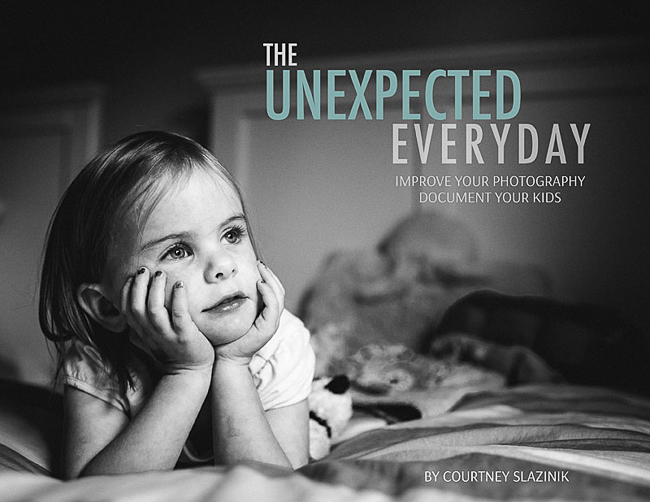 You can’t help but improve your photography all while taking timeless photos of your children. Deciding on one particular thing to focus on can help you improve a skill. If you have children you may notice they are in 95% of your photos. Focus on a new subject to try new compositions and break out of your normal photography routine. There are two ways you can tackle this project. You can either choose a letter to photograph something that starts with that letter. Another option is to photograph something that looks like the letter. This option is fun if you want to create a collage of photos to spell out your last name or “welcome”. There are many books out there that will teach you different skills. You can tackle a new chapter each week or month. Choose to photograph things, people or places you are grateful for. Not only will you never run out of ideas of things to photograph but it helps you focus on what is really important and how blessed you are. If you have multiple lenses choose one your don’t normally use. Stick that one on your camera for a week, a month or a whole year. This will help push your creativity. I remember doing a photo walk with a photographer who took street photos with a macro. Don’t assume a certain lens is only for one time of photos. Maybe you rock at portraits, try your hand at food photography. Try a different type of photography you are used to. Not only will you learn some new skills but it is fun to try something you aren’t strong at. Whether it is your birthday month, or one of your kids or loved one. Photograph them everyday for the week or month of their birthday. It is a fun way to document them that year as well as capture what they are like at that age. I do this once a year, but you could really do this once a month or more. Photograph your day all day. You can either take photos through out the day or just on the hour. Either way it is a fun way to capture the everyday moments and routines that we often forget to capture. A lot of photographers will capture 10 photos on the 10th. This is similar to the “Day in the Life of” project. But this may help you to remember to do this project each month on the 10th. This is something I do with a few other photographers. Write a letter each month to your children or just focus on one child. Then take photos of them to include with the letter. I write advice to all my girls. This helps me to get at least one photo of all three of them together each month. This can be quite the challenge but I enjoy it. Some girls in the group choose one child to write a letter to and do a mini photo shoot each month with that child. Do what works best for you. Photographers are not in enough photos. Choose either to do a self portrait, daily, weekly, or monthly. What is important is that you are getting in the photo. When I did my first Project 365 I did a “Monday Me” where each Monday I took a self portrait. It’s a good idea to have a specific day in mind. If you are going to do it monthly, choose the date of your birthday and each month take a photo on that date. What photography project are you going to tackle? This will certainly challenge me. I am just an amateur and love taking pictures. But want to learn more and be more creative. Put those books on my Amazon Wish List to get sometime soon. That is a great idea to focus on one window! Thanks for these ideas. I’m a beginning photographer and always want to find ways to improve. I will tackle one of these for 2014!! Thanks! Good luck with your project! thanks for your tips.. I’m thinking of doing a project featuring my sister..I’ll take picture of her everyday for 23 days before her 23rd birthday and that would be my gift for her. .
Yep, I decided to do a 10 on the 10th project this year. My plan is to create a book at the end of the year. I cheated this month though. I forgot to do it on the 10th so I did it on the 13th instead which turned out great because my daughters school Valentine party was that day. Hi, I stumbled upon your website by accident a few weeks ago and I am so in love with it. I have been taking picturs for years now with 2 young kids but have recently lost my mojo and motivation. Your blog has given me new inspirations and ideas. Thank you so much. I love hearing that. Thank you! Welcome! Great tips. I need to start taking more self portraits. Thanks for the ideas, I am sharing this with the Board of our community’s camera club, for ideas on our summer projects, we take the summers off because we live in Florida and a few members are snowbirds, great IDEAS, thank you…. Hi! Love some of these ideas! I’m an amateur, who prefers nature macro. Do you know the name of the person you did the street tour with, that did it all with macro? This would be fun perspective for me. Thanks! How do you recommend taking self portraits? Are you wondering about what lens to use? I haven’t started yet but I’ve been considering a rainbow challenge. Take a day/week and take all red pictures, then yellow, orange and so on. It’s something you can vary the difficulty of since some colors are going to be easier to find depending on the season but if you want a real challenge you can mix that up. Thank you so much. This is exactly what I needed to read right now. These are great!! 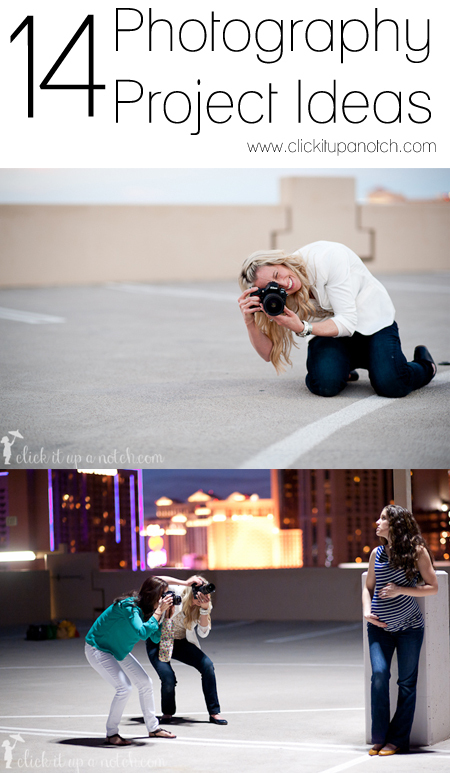 Do you have any specific blog sites you would recommend using for a new amateur photographer? I’m confused by what you mean you click on the link and it takes you back to the top. Which page does it take you to the top of? Some of the people may no longer being doing the project. We started that list last November :) I think it’s great you are going to keep going! Yay! This has been such an inspiration! I am looking forward to starting a challenge. Even though I am in college I think this will be a cool way to remember all that I have done! I love that! I wish I had some kind of photography challenge when I was in college. What a fun way to remember your time! Thank you so very much. This is a wonderful article and you have given me and lot of awesome ideas for future photo shoots and a lot of fun for my family as well. Welcome! And thank you for your sweet words :) Excited to be a part of your photography journey. I am a mom of a 13 year-old & a 20 year-old daughter, who has a 2 month-old daughter. I have always dreamed off taking up photography as a serious hobby. Now is my time since I am staying home full-time caring for granddaughter. I am absolutely clueless about what camera to purchase. I hear talk of DSLR. I am committed to investing in a high quality camera & expect to make a financial investment. But, what camera is for me? Would love to get involved in your project, but need to purchase quality equipment. Some advice please? Thanks so much for any input. I love all these photography projects. I have no idea which one I want to try first! Great post! I’m a 13-year-old photographer and I’ve been wanting more things to take pictures of so I decided to do a photo project. This article gave me so many ideas for my project so thank you! These are all great ideas! Thank you for the inspiration! I love your site. I plan to read more of your posts tonight! Yay! Wow! This list was so great, and for my senior project, I think I’ll do the Grateful Project. Thank you so much for the idea! Hey, thanks for sharing. Just in the middle of planning a new project, but I find it’s quite challenging with a little one running around. Although, my boy is a great model, I quite like exploring – what I call Organic Sculptures- and then photographing them. Wow! This project ideas list is so awe-inspiring. Can’t wait to see more of your articles. Thanks for sharing! NOW I GOT A FIRE IN MY BELLY!! !